Oasis Expeller Pressed Premium Creamy Liquid Shortening - 35 lb. Ensure consistent food quality with this Oasis 35 lb. expeller pressed premium creamy liquid shortening! This liquid shortening is formulated for longer fry life and intense applications. 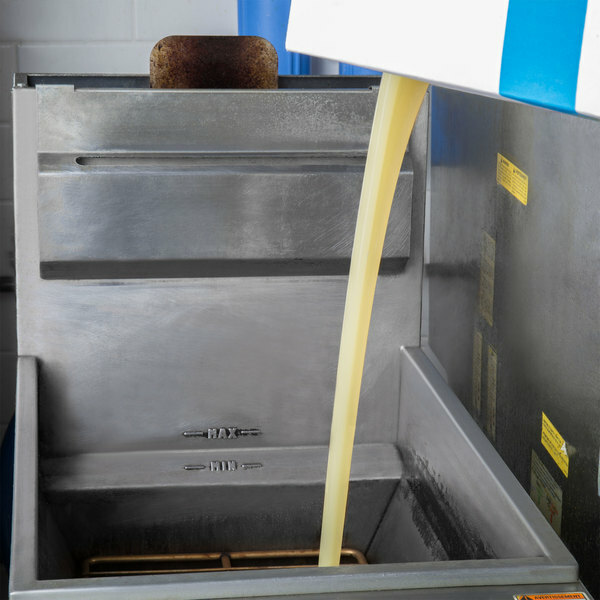 The expeller pressed canola/soybean oil blend offers a neutral taste, for no flavor transfer, while ensuring it's up for heavy-duty frying. This shortening's convenient liquid consistency enables easy pouring, right from the container. An easy-to-grasp handle and screw-off top make for controlled pours, while a heavy-duty, corrugated cardboard case protects the plastic jug during storage. This liquid shortening is enhanced with TBHQ additive to prevent foaming and protect flavor. It contains zero trans fat, making it great for health-conscious customers. It's also ideal for any frying application. Whether making french fries, fried fish, or fried vegetables, this versatile shortening will get the job done! 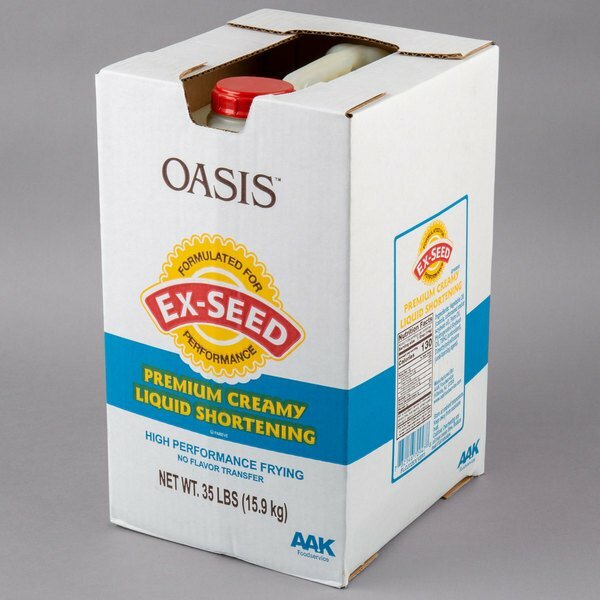 Overall User Rating: Oasis Expeller Pressed Premium Creamy Liquid Shortening - 35 lb. The Oasis expeller pressed premium creamy liquid shortening is a great frying agent and makes the best tasting pastries. The shortening heats up well and fries our items gold brown.